The most exciting advancement in the last few years for educators and innovators around the world has the creation and rise of MOOCs. What are they – MOOC stands for Massive Open Online Course – it refers to a new way of teaching, and a new way of learning for students after school. It refers to full courses – complete with lectures, discussions with teachers and other students, interactive exercises and full testing – available freely or affordably online. Their objective is to enable students in far reaching areas of the world to access study materials from top Universities like Harvard ,Yale,MIT & John Hopkins. Some even give you Certificates & a Degree, after completion of a course . The potential is more than that – in poor, developing nations – the limited and often substandard college teaching is bypassed for free, world class coaching, and all you need is a computer and an internet connection. So how did this start –the MOOC revolution really began in 2011 – when Stanford launched its own free online courses, followed by similar actions by many top colleges. The successes have been in no small measure either – profitable venture Coursera boasting 4.7mn students, and not-for-profit initiative edX (started by Harvard and MIT) boasting 1.2mn students – not just that – Scientific American shows how a much higher than expected percentage of students have taken a MOOC Unbelievable success. 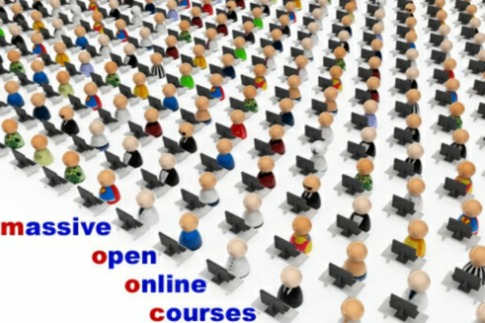 How it works – the model of a MOOC, in general terms, is to offer courses –not random lectures and videos – full courses from top institutions into which you enroll, and are then guided through a specific sequence of videos and lectures. In between, you are given exercises and homework to determine how you are faring. Use of adaptive learning software allows the course to determine where you are weak – and give you the corresponding lecture or exercise. There are also online discussions, debates and interactions between these sessions; and maybe assignments and exams at semester ends (depends on course – some are free-flowing, some are more structured). You have hands on help from professors – of the best colleges in the world – if you have any difficulty. You are given a certification on the completion of a course (after you pass a final test, of course) – the acceptance of these certifications in to- day’s world is still marginal, but is bound to grow as these courses become more popular. It may be true that these courses cannot replace real college experiences and none offer a real degree, but they have still revolutionalised higher education. Students unsatisfied with their college, have a good alternative – learning does not require college attendance, and is a lot more personal. In places where conventional higher education cannot solve the problems like Africa and parts of India – MOOCs are an unbelievably good solution. In Rwanda, the Kepler project was a huge success – transforming lives of so many Rwandans through a blended course that used real professors on the ground in Rwana along with Ivy League college instruction online to give Rwandan students a chance at proper college learning. This is the true potential – stand alone or blended – MOOCs can either supplement college learning, or in places that don’t have the latter,…provide it ! The industry has an unusual structure, consisting of linked groups including MOOC providers, the larger non-profit sector, universities, related companies and venture capitalists .